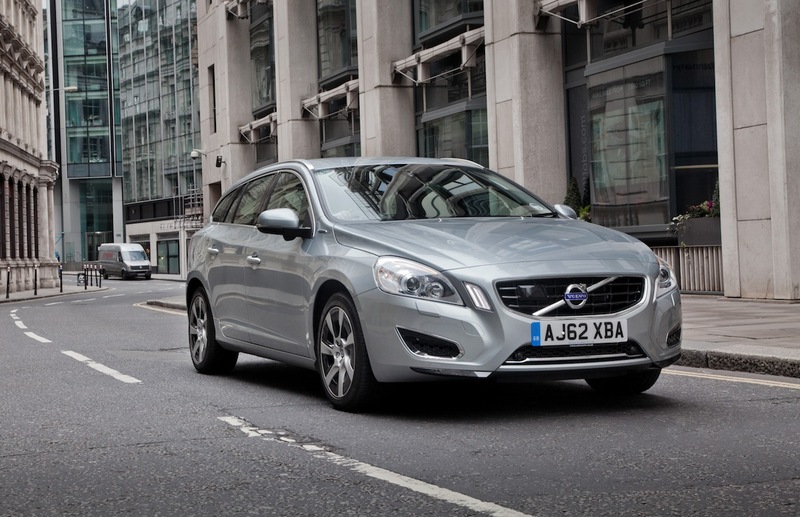 Volvo is the first manufacturer to market with a plug-in diesel hybrid with the V60 D6 AWD. 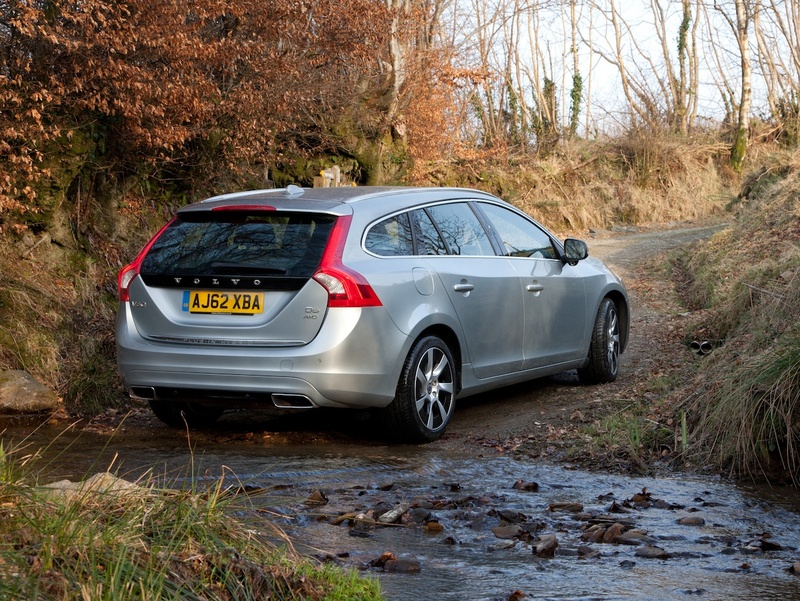 As well as its impressive 155.2mpg average economy and 48g/km carbon dioxide emissions, this V60 is swift, comfortable and has the added bonus of four-wheel drive. True world firsts are not an everyday occurrence, even in the fast changing world of hybrid car technology, so the Volvo V60 D6 AWD is an intriguing prospect. 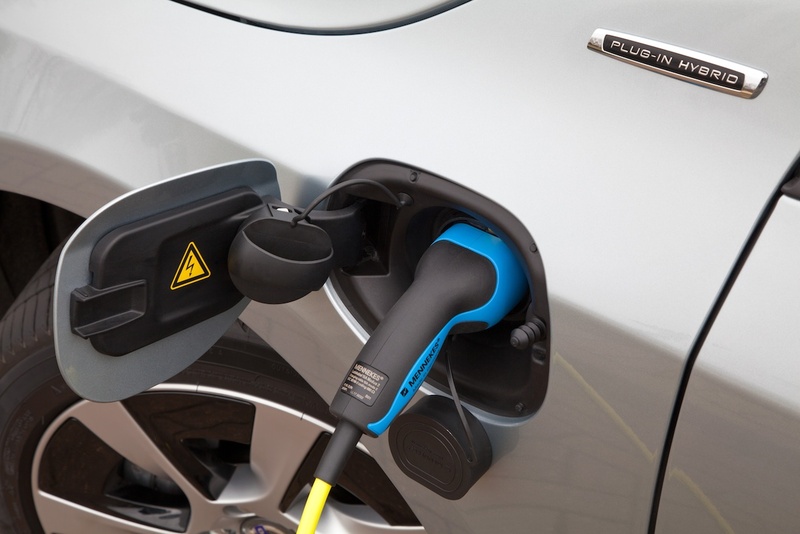 It’s the first plug-in diesel hybrid to go on sale, which means it has diesel-electric power but can also be charged from the mains to run on electricity alone. 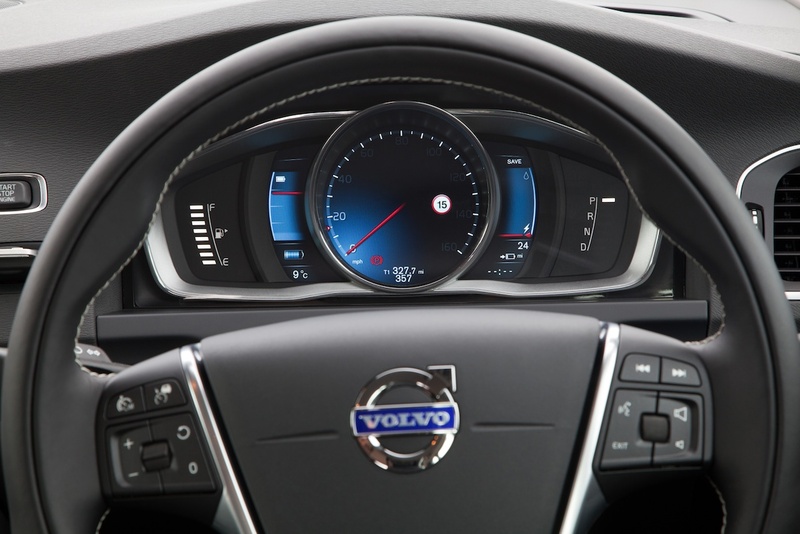 If that all sounds a little technical, don’t worry as this new Volvo is a lot easier to drive and live with than the high-tech gadgetry might make it appear. For starters, this is a Volvo V60 estate, so you have plenty of room for luggage and people, as well as a superbly crafted cabin. The boot of the D6 AWD is a little smaller than a standard V60’s because there is a 250kg battery pack nestling under the luggage floor. This battery pack works with the 2.4-litre turbodiesel engine to deliver a whopping 155.2mpg average fuel economy and carbon dioxide emissions of just 48g/km. Unlike many other hybrid cars, such as the Honda Insight and Toyota Prius, the Volvo can travel much further on battery power alone. It can cover up to 31 miles on electricity before the diesel engine is needed. 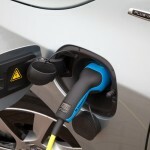 The driver can also choose to reserve 12 miles’ worth of battery power during normal driving so the V60 can then whirr through town traffic with zero emissions using just battery power. When you park up, you can recharge the battery by plugging the Volvo into a socket. Some car parks provide free charging points for hybrid cars, so you could feasibly commute on battery power alone. The flip side to the Volvo V60 AWD is its 212bhp diesel engine and 69bhp electric motor endow it with strong performance. It can cover 0-62mph in just 6.1 seconds, while four-wheel drive gives it sure-footed stability in all conditions. 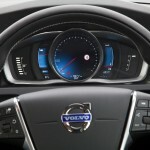 During our drive around, the V60 D6 AWD was composed and capable. The only slight niggle was a firm ride, which is a consequence of the heavy battery pack requiring firmer suspension to cope with the weight. Even so, the overall impression is of a very high quality, luxury car that delivers incredible fuel economy and a range of up to 560 miles if you make full use of the battery power. To be fair, the Volvo should feel very special given its £43,775 price tag, which puts it into contention with some of the very best diesel estate cars available from Audi, BMW, Jaguar and Mercedes. The V60 D6 AWD justifies this price tag not only with its unique proposition as a diesel-engined plug-in hybrid, but also as a very refined, comfortable and classy estate. These latter qualities may not be unique, but they are rare enough to make this Volvo very desirable. While the price may be an initial barrier to some who might consider the Volvo V60 D6 AWD, its economy and emissions helps counter this. 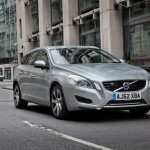 They also help future-proof the Volvo against ever tightening regulations and higher fuel prices. 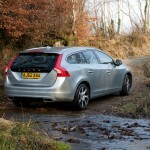 While it may not have the outright classy appeal of some rivals, the V60 D6 AWD is a very appealing package. Being able to drive longer distances on battery power alone and also the strong performance when diesel and electric motors combine. The ride is quite firm on typical British roads, so be sure you can live with this before saving the planet.